Hardwood flooring installation is certainly on the rise as literally millions of property owners invest in the beauty of hardwood flooring in homes and businesses across the country. While the demand for smooth finished flooring is as strong as ever, many home and business owners are looking towards the new trend of wire brushed plank flooring as an alternative. The concept behind wire brushed wood is to expose the grain to enhance the rich texture, knots and natural character of the wood. Another desirable trait and one that is a strong selling point for many homeowners is the woods ability to hide scrapes, chips, scratches, and other telltale signs of general wear and tear. What is Pre-Manufactured & Hand Scraped Wire Brushed Flooring? Just as the name suggests, wire brushed flooring is achieved by a process that uses a wire brush to scrape the surface of the wood to open and enhance the grain and to add character and texture. The process of wire brushing is generally achieved during the pre-manufacturing process. The prefinished flooring can be easily recognized by its unique texture which is composed of a beautiful yet slightly roughened appearance and open grain. On the other end of the spectrum and much more desirable is wire brushed flooring that has been hand scraped to achieve a weathered texture with a slightly more even grain. The aged appearance of hand scraped wire brush flooring is coveted by homeowners wanting to achieve the rustic appeal of vintage styled homes. The knowledgeable professionals at Mike’s Custom Flooring have the necessary skill, experience and equipment to achieve the dramatic appearance of wire brushed flooring by exposing the natural grain of the wood and enhancing the character of the natural hardwoods in your very own home. 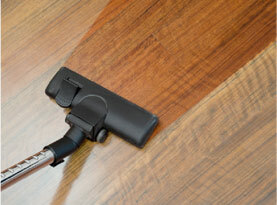 There are countless benefits to choosing wire brushed flooring for your home or business. Not only does it offer a beautiful weathered appearance, it also increases the durability of the hardwood. During the wire brushing procedure, the top layer of the wood (sapwood) will be removed from the top of the planks, leaving the heart wood exposed. The subtle roughness of the distressed surface allows scraps and other imperfections to blend in and enhance the vintage appearance of the flooring. Wire brushed flooring, with its natural scrapes and crevices should be cleaned on a regular basis to minimize the buildup of dirt and sticky reside. Your Mike’s Custom Flooring professional will provide you with instructions on how to properly clean and maintain your new flooring. •	Clean your floor using the neutral hardwood floor cleaning products recommend by your Mike’s Custom Flooring Specialist. 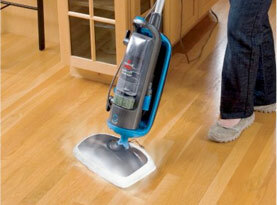 •	Never use steam cleaners, oil soaps or ammonia mixed with water on your flooring as they can damage the wood. The experienced professionals at Mike’s Custom Flooring recommend browsing their comprehensive hardwood flooring listing to find the style to achieve the desired appearance for your home. Learning about the various types of flooring, care, maintenance, and price points can help you decide what type of flooring is right for your home or business. 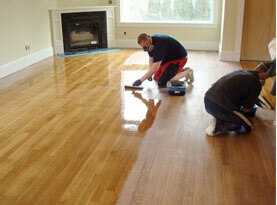 Wire brushed flooring is just one of many options available to home and business owners. 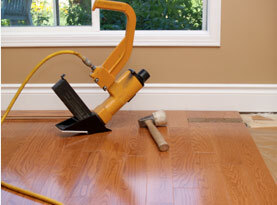 Contact the knowledgeable experts at Mike’s Custom Flooring to speak with an experienced flooring consultant to learn about hardwood flooring consultations, inspections, installation, dustless sanding, refinishing and repair today.